at the end of the day we have the chance to have a wonderful meal together …! With our steps we are helping to keep the path open! Along the way we will cut back any vegetation which has grown back to block the path and clear any garbage. 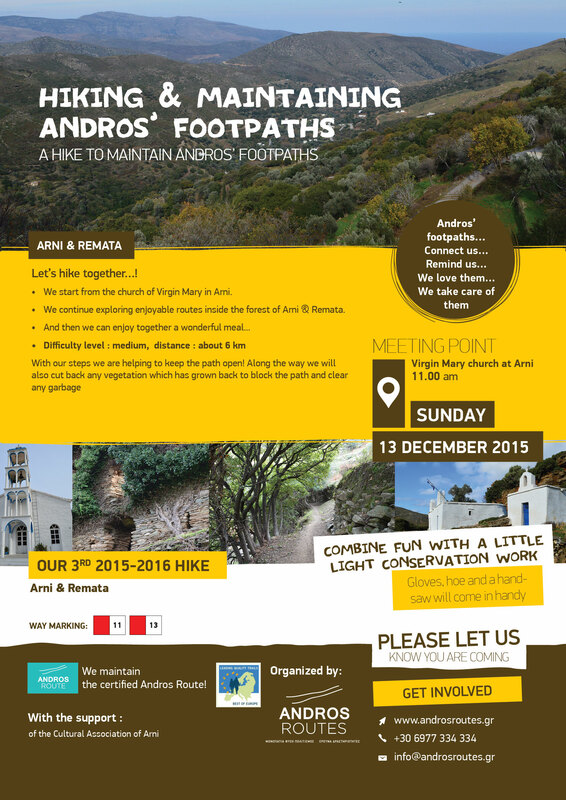 At the hike to maintain the Livadia circular path At the hike to maintain in Arni area… another arched stone bridge !